Pursuant to their training at the FBI Academy, in Quantico, Virginia each regularly appointed FBI agent is charged with the duty of investigating violations of the laws of the United States, collecting evidence in cases in which the United States is or maybe a party in interest, and performing other duties imposed by law. While at the academy, each FBI agent undergoes twenty  weeks of training, which includes academic study and solving practical problems, firearms training and physical fitness. Required to pass each test with a minimum score of eighty-five  percent, each FBI agent receives instruction on the fundamental principles of law, learn investigative techniques, including conducting interrogations and making arrests, forensics and ethics training and take courses on behavioral sciences and report writing. Additionally, each FBI agent receives special training on national security, counterintelligence, cybercrime, weapons of mass destruction and recruiting confidential human sources. Using a mock town called, “Hogan’s Alley,” a name borrowed from a late 1800’s comic strip, each FBI agent is taught investigative techniques using realistic scenarios incorporating tactics and investigative skills with firearms training and defensive tactics–all in an effort to make sure agents make good decisions. 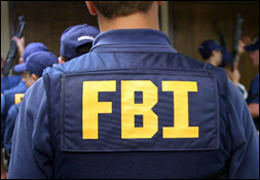 Conducting mock investigations, each FBI agent must plan and make arrests, process evidence and conduct interviews. They also execute search warrants, tactically clear buildings to affect a safe entry and participate in simulated gun fights—all with the help of local actors hired to play bad guys and innocent bystanders. Built with the help of Hollywood set designers, the small town includes a local bank, a defunct post office, a small hotel and laundromat, a local barber shop and pool hall, several homes and shops with manufactured traffic problems, and a flow of people in order to give the agents real insight concerning what it might feel like conducting an investigation. FBI agents even eat at a deli in the village conducting the mock investigations, since on occasion investigators only have a few minutes to get a quick meal. Concluding training, an FBI agent is typically assigned to one of the Bureau’s 59 Field Divisions, where a senior agent will mentor them through a one-year probationary period. In their 1st office of assignment, agents are generally tasked to investigate a variety of cases to gain experience, including violations of the federal criminal code, national security, cybercrime and/or terrorism. Looking for an investigator and/or expert that can provide a professional opinion about an FBI investigation, just search website looking for a retired FBI agent in your area. Using the website’s search feature, visitors can easily find a retired FBI agent residing in or near their area just by entering a geographical area of preference and thereafter make contact using the information provided. Retired FBI Agents and Analysts interested in securing a Directory listing and/or a personal email address need only submit a brief online application requesting membership to join the website.